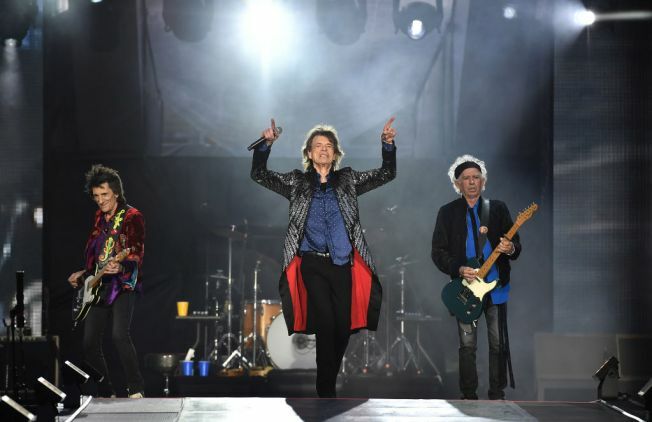 The Rolling Stones are giving fans just what they want - another Chicago performance in their upcoming tour. The band announced that it will add a second and final Soldier Field show on June 25, in addition to their June 21 performance. The addition was "due to overwhelming demand," according to Soldier Field officials. Tickets for both dates go on sale at 10 a.m. Friday. “It’s a thrill when we play stadiums in the States – the energy is always amazing,” Mick Jagger said in a statement. Soldier Field’s managing agent SMG and the Chicago Park District called it “one of the most exciting events to come to Chicago in 2019." Set lists for the tour include classic hits like "Sympathy for the Devil," "Paint It Black," "Brown Sugar," "Miss You" and more. For days fans on social media have been posting photos of the band’s signature logo painted on streets around the city, prompting speculation.